Turner got the land enrolled in the LEPC Initiative and used cost-share money to improve cross-fencing and a livestock watering system. That eased the process of rotational grazing - one of the components of a managed grazing plan to protect the fragile landscape while improving Lesser Prairie Chicken habitat. NRCS district conservationist Greg Henderson advised Turner on the project. 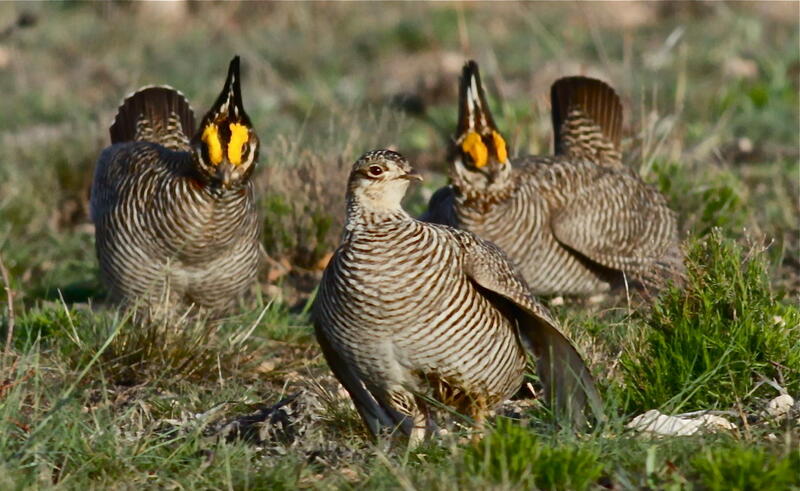 Lesser Prairie Chicken science advisor Christian Hagen discusses the importance of managing grassland, especially during times of drought such as western Kansas is experiencing. This episode of Playa Country is the third in a four-part series on the Lesser Prairie Chicken. It originally aired on HPPR June 18, 2013. Playa Lakes Joint Venture's Policy Director Barth Crouch updates status of the 2013 Farm Bill. He says most ections of the legislation pertaining to conservation were funded through fiscal year 2013 in the so-called "fiscal cliff" negotiations at the end of 2012.